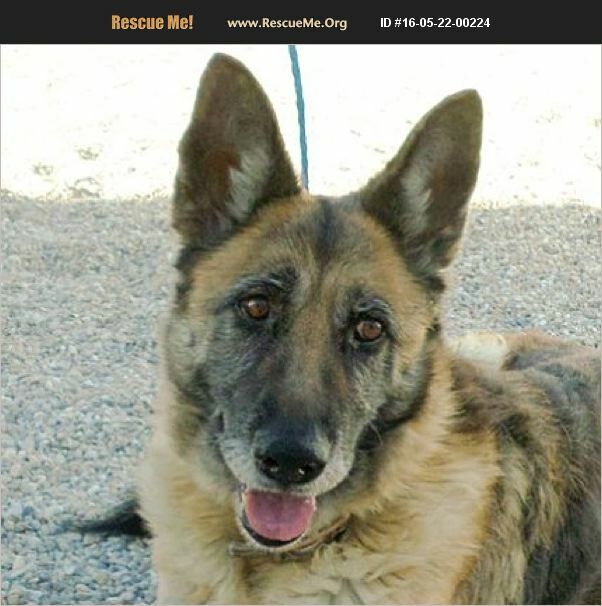 Ginna is a 8-10 year old female German Shepherd Dog. She is medium energy and weighs about 65-70 lbs. She still shows the signs of having a rough life but she loves people she knows and trusts, (those who give her lots of treats) and is good with sweet, submissive dogs or dominant dogs who take charge. Ginna is very active and loves balls above all else. She loves to play and has plenty of energy for long walks and hikes. She likes being close to her people, getting hugs and kisses and plenty of belly scratches. She is very smart and responds well to positive reinforcement, treats and kindness. She will be perfect with a quiet, adult family who will give her a little space as well as walks and treats to help her settle in. It doesn't take long for her to feel safe and protected. She has a very calm and sweet nature and wants to be loved and accepted and know she is a good dog. She knows her sit and down and comes when called.